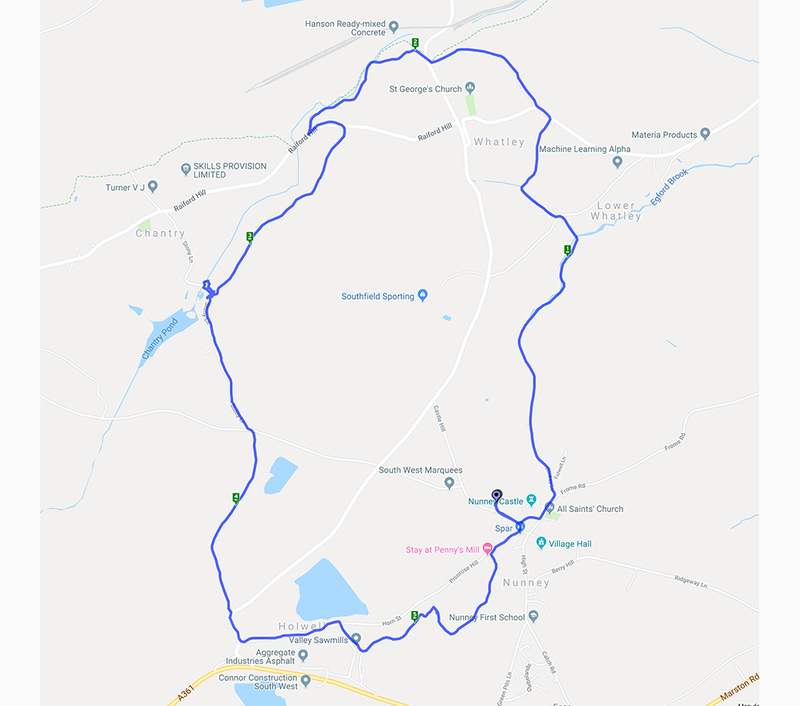 Although this wasn’t new it is the sort of walk where there is something different to spot each time. 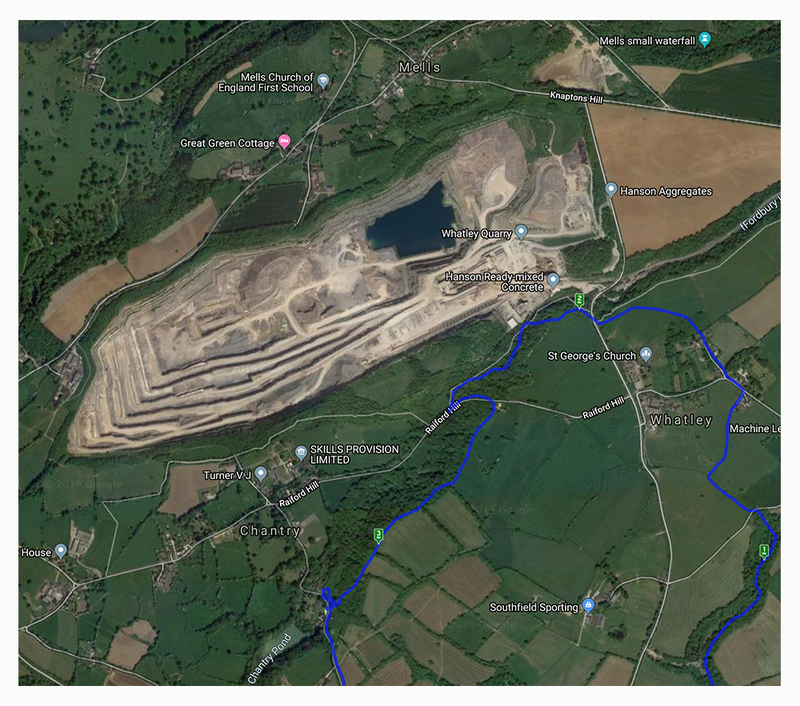 The changing seasons really do make a difference and this time the quarry was much more visible without the leaf cover on the trees. The wild garlic was everywhere and the Hart’s Tongue Ferns were looking splendid amongst the mossy growth along the stream. 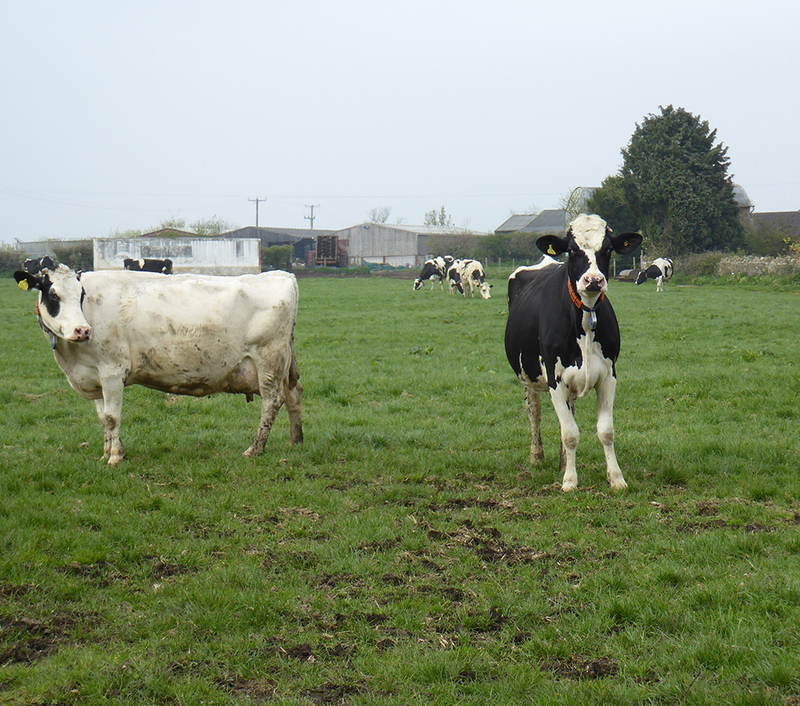 Another difference was a large herd of cows in a field which has not had them in before – fortunately they were more interested in chewing the cud than worrying the walkers. 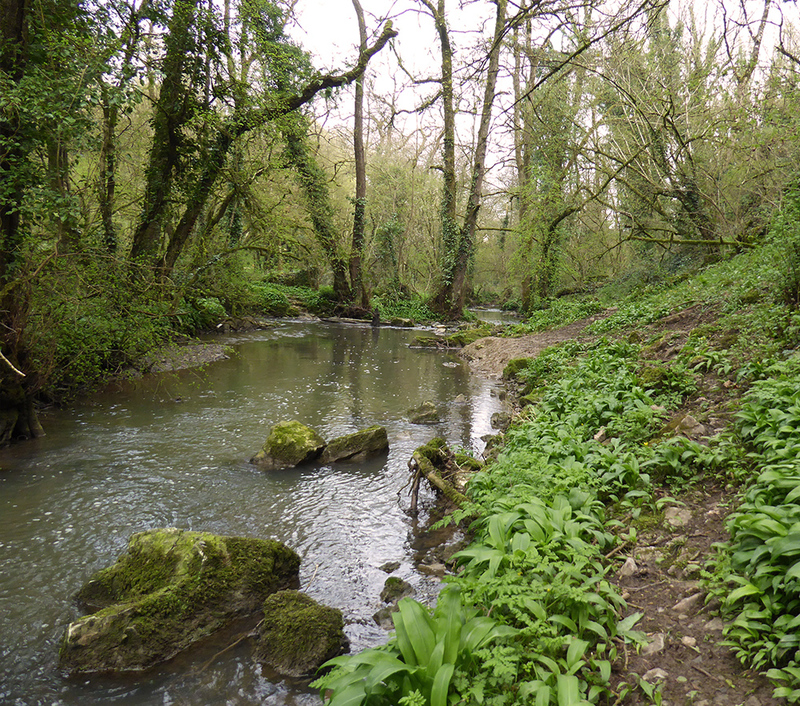 Much of the walk is along Nunney Brook which tinkles peacefully as you pass. We made our way through a field full of curious cows. 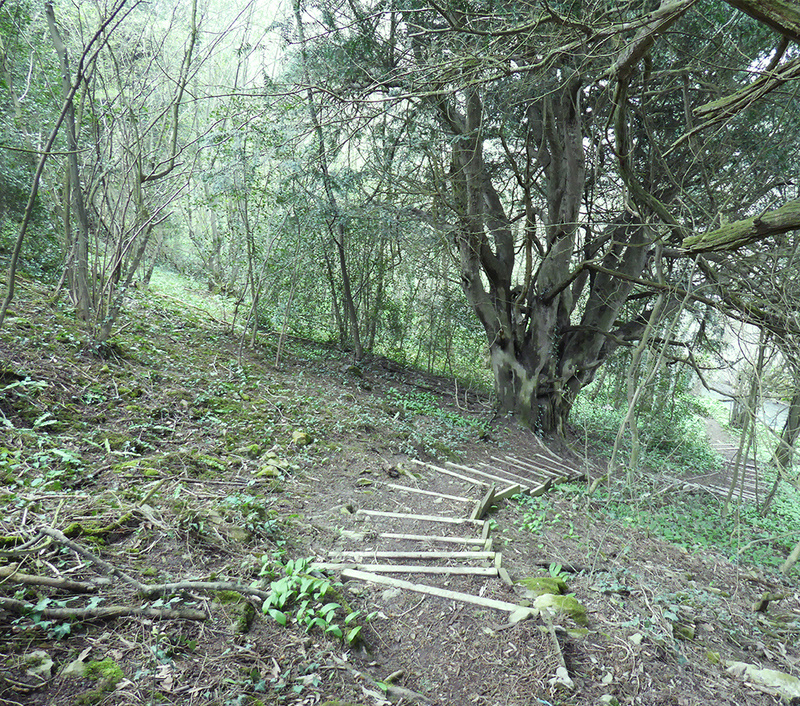 Steep forest steps leading past some impressive old yew trees. 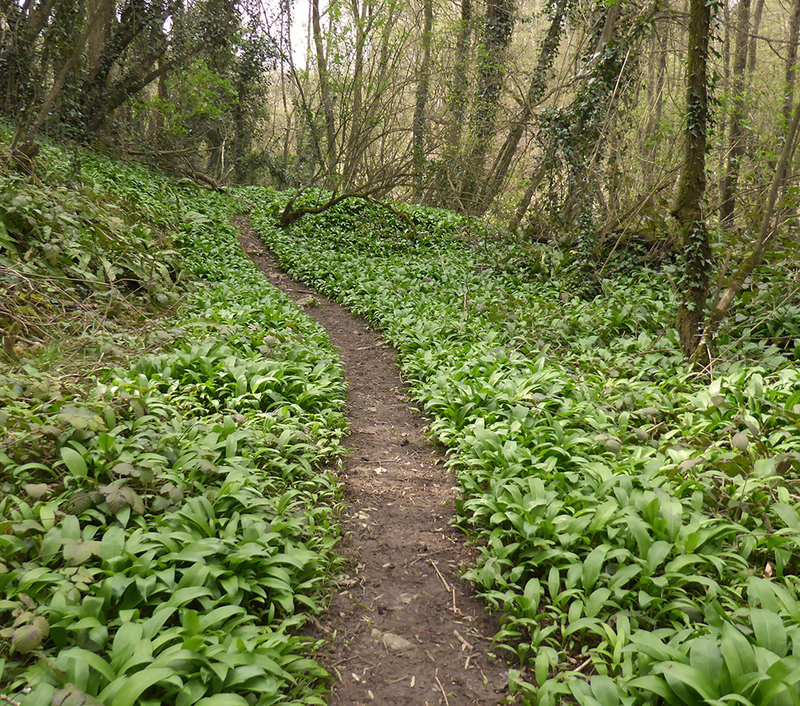 You know it’s spring when the woods are carpeted in wild garlic.